Not anymore. 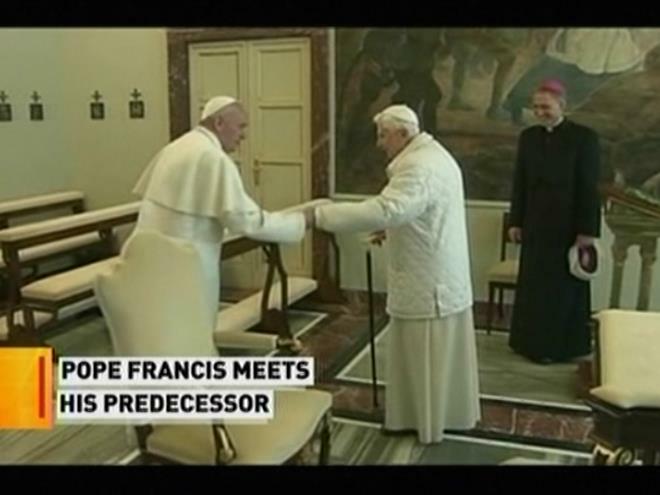 Two popes met today, prayed, and had lunch together. I’d still like to know how they greeted each other, though. And what did they have for lunch?